Can two words give you the power to change your life? Yes they can! 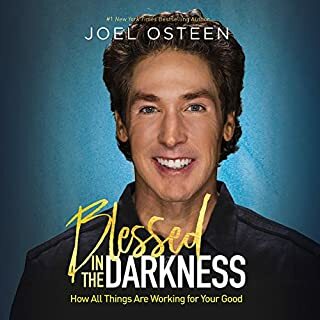 In the chapters of his new book, best-selling author Joel Osteen shares a profound principle based on a simple truth. "I am blessed".... Blessings pursue you. "I am talented".... Talent follows you. "I am healthy".... Health heads your way. "I am strong".... Strength tracks you down. I love the audio version. Was e so enjoyable uplifting and encouraging. Thank you again for helping the world! God loves us. Thanks, Joel for the reminder. Loved it!!! Could not put it down. Very uplifting and so encouraging, it reinforces that the Lord is for us and not against us. This book inflated me and reminded me who I am in Jesus. I am going through the most difficult period in my entire life, and this book literally saves me from one more single day of misery. I listen to it on the way to work and on the way home and just finished it on my lunch break. I could not get enough. Awesome! A word in due season. The words used were precise and straight to the point. The stories or should I say illustrations were concise, painting a vivid picture of the stories narrated, enabling the listener identify with the words spoken. Very captivating, I did not want to turn it off. I liked the fact that it ministered to my soul, to my situation. It is good for every one, whether young or old, whether Christian or not. A good tonic for the soul. I will never get tired of listening to it. I will play it over and over again. Thank you Pastor Joel Osteen. I like it... Some of the info was from his sermons but overall great!! I purchase the hard copy to give to a friend! I love this book! It is full of powerful words to help you get by throughout the day. This book has changed my life for the better. While I was reading this book, I was studying for my state board exam, this book helped me to remain strong, confident, and bold. 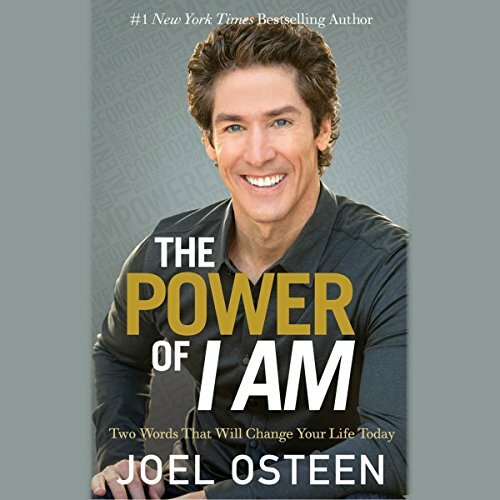 Thank you Joel Osteen for this wonderful book that you created. I recommend this book to everyone. I always enjoy Joel Osteen's message of hope and faith. He has a special way of marrying faith in Christianity with the law of attraction that inspires and comforts. His personal stories are relatable and heart warming. It was interesting hearing him read compared to his more animated style when preaching. This book will be great for anyone who needs a reminder and reinforcement that faith will always prevail. It encouraged me to remain positive and hopeful. Loved this audio reading, listened daily on my way to work. It blessed my life and lifted my spirit. Thank you Pastor Joel may Good continue to bless you and your family. Great book for Christians. If you're not, not. Fabulous if you are Christian and like listening to sermons. As a non Christian I found it difficult going. It's a great message but definitely written for a very specific audience with bible references throughout. Had I known beforehand that the author was a pastor I probably would have avoided it. Just like all his books, makes you think positively towards life. However he does kind of recycled some of the examples or sections from his previous books. hence the 4 stars. 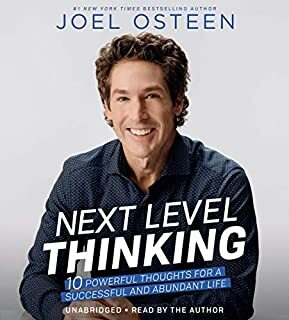 I wished he just wrote a brand new book with a totally different content from all his prior books and put more scriptures on it. Very very repetitive. Could have been a quarter of the size, wouldn't recommend spending the money for the book. Probably equal value if a Google search for author found. Awesome read. Very inspiring and encouraging. 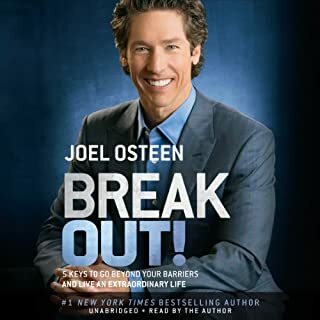 Wonderful book my Joel Osteen. Would definitely recommend and would listen over and over for years to come. Very much appreciated and grateful for every word. I will be reading this over and over again for a Very long time. Thank you Lord for inspiring Joel Osteen and Thank you Joel for being receptive to this and more importantly for Sharing this. God bless you and Bless us all! I have been blessed by this book. God bless you. What did you like most about The Power of I Am? I used to listen everyday on my way to work and it really shifted my mentality. Be the miracle that God has for us! Clear audio quality, and what is more power packed messages! Very much enjoyed this. Each chapter gave me a lift and put me in a better frame of mind. What an amazing, powerful & uplifting audiobook. My wife who had been struggling without a job and low on confidence, listened to this book with me. She has now been employed full time in a job she enjoys and has such a positive outlook on life. Thank u Lord for blessing Joel with a talent to share your Word to inspire others to walk daily with you. Would you listen to The Power of I Am again? Why? Yes - it is a beautiful narration, told with heart and passion. What was one of the most memorable moments of The Power of I Am? It's a practical guide to get us closer to the Promise of God. 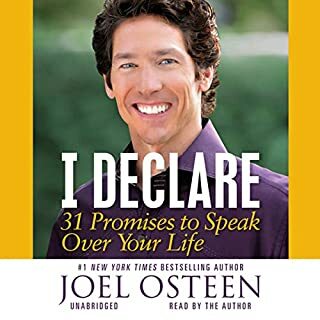 Have you listened to any of Joel Osteen’s other performances? How does this one compare? 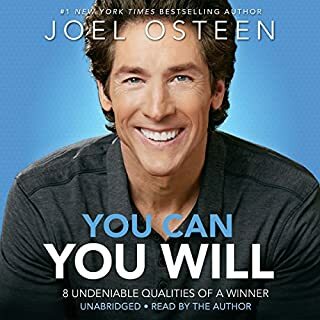 This is my first Joel Osteen audio book. I wanted to listen to it all at once, uninterrupted, however I found myself wanting to go back to what I had just heard as it was so good. Very inspirational book, to listen again and to share with others. I am recommending it to friends and considering to purchase more copies to give as gifts for Chistmas. Loved it. It has changed my life. Thank you Joel for sharing this perfect message. Easy to listen to. Joel takes the listener on a journey of discovery into who they are in God's eyes and how each of us play a part in each other's lives. Joel has a way of building faith and giving hope. I am gng to go and buy the book now. 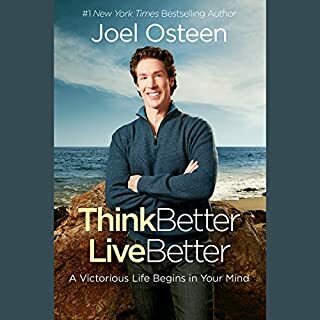 Great book by Joel indeed! Joel is a pleasure to listen to. the book will change your life if you take it to heart and apply it. if you struggle at all with poor self image this the book to read.